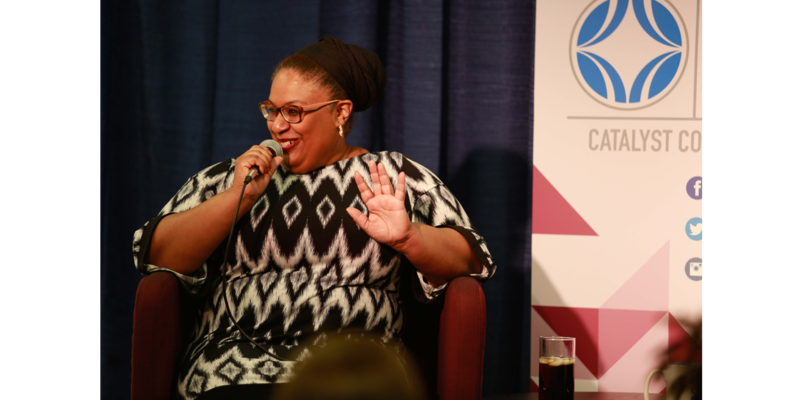 Hana Sharif at Catalyst Conversations: An Artist Discussion on November 13. Photo by Pinxit Photography. 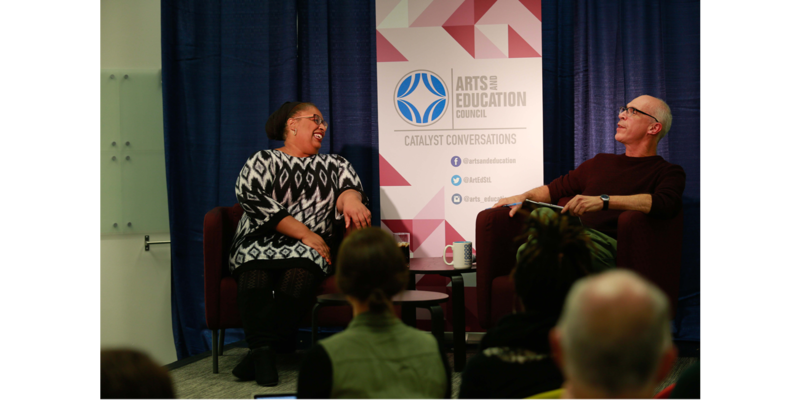 This month, the Arts and Education Council (A&E) presented Catalyst Conversations: An Artist Discussion with Hana Sharif hosted by Chuck Harper. See more about the conversation here. 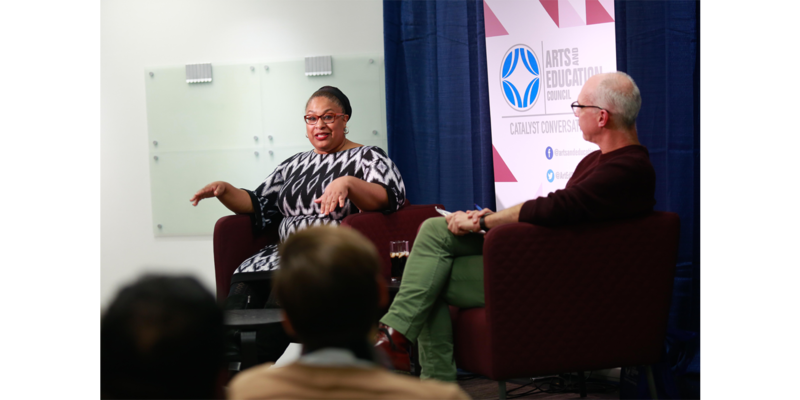 Earlier this year, A&E sat down with Sharif after the announcement that she will succeed Steven Woolf as artistic director at The Repertory Theatre of St. Louis (an A&E grantee) when he retires in 2019. She shared what her next year looks like, her impression of St. Louis so far and how theatre can connect us. Sharif conveyed her passion for the arts and the arts ability to create a more vibrant community. What does your next year look like in preparing to join The Rep? I have the wonderful luxury of having a year with Steve Woolf. So that’s one part of it, but one of the things I’m most excited about is actually spending time in the community talking to folks in very different neighborhoods to get a sense of the temperature of the city, a sense of what excites St. Louisans. My goal is to do a lot of deep listening about what are the most present issues and energies in St. Louis. 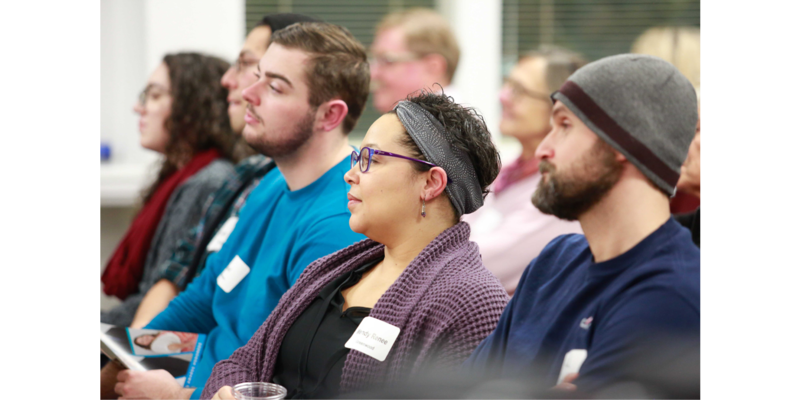 I want to use that to help inform how we build our season and how we create art that attempts to connect, address and, at times, revels in all of the things that move the heartbeat of the city. What have been your initial impressions of St. Louis? The Theatre Communications Group had our national conference in St. Louis in June, so I got to spend a week here. I rented a car and drove across the city watching the energy, architecture and landscapes change and change again. St. Louis has such a charm and warmth to it that I think it enveloped all of us. So even though we were exploring at times separately, my husband, daughter and I all walked away from that week feeling like we’d found home. It has made my family’s transition very easy, because everyone is very excited to get back to St. Louis. How do you see theatre connecting us in St Louis? Art and great storytelling have the ability to break through walls and speak to what is essentially human in us. 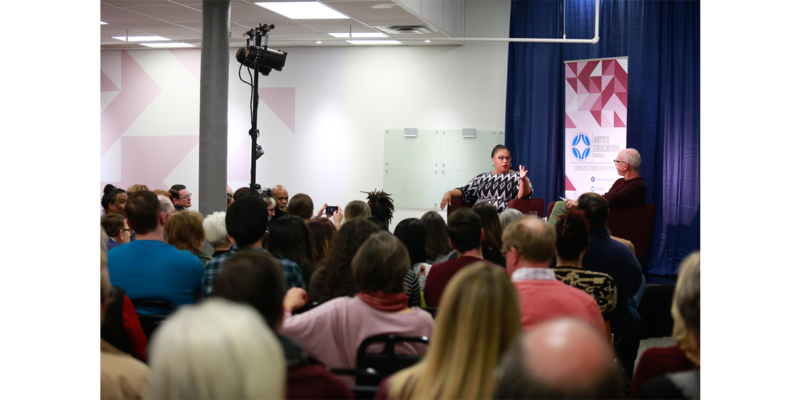 When you can connect with that, when you can sit in a room with 500 or 600 other people having that communal experience, it’s speaking to that thing that connects us, and it has power that is transformative. It’s also the beauty that you can be in a room with 500 people having that same experience of art but everyone takes away something wholly unique. I have this fundamental belief that whether you’ve been a theater goer for 25 years or you’ve never stepped foot in the theater before, you deserve access to the highest quality of art and the tools to tell your own stories. The Rep has the ability to bring forward the highest caliber of storytelling. The city of St. Louis is rich with opportunity and rich with so many types of people and journeys that there is learning to be had and incredible art to be made. 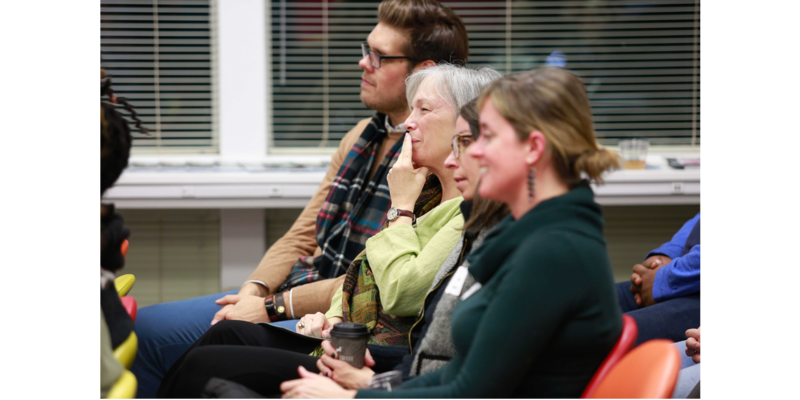 Sharif was a featured speaker at the Novemeber 13 Catalyst Conversation. Each free conversation features people who are using their talents and unique experiences to inspire, connect and shape new perspectives.